To take a hurried look at Chinese football and then condemn it as a spectacle inferior to anything produced upon the European continent is an incredibly easy thing to do – and something that many have done in the past with good reason. Plenty of the bigger names to feature in China’s Super League have moved on to pastures new without their sojourns to the east paying any significant professional dividends, as the lower calibre of the Chinese leagues fail to push those accustomed to tougher challenges to the limit of their abilities, allowing either a complacent attitude or disinterest to set in. 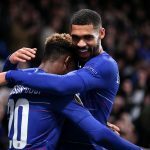 Messrs Drogba and Anelka provide perfect examples of this, both of whom decided they had bigger fish to fry after one poultry season turning out for Shanghai Shenhua. Furthermore, signing for a Chinese side can also been seen as an admission of an inability to operate on more ambitious stages; indeed, a number of previous European stars have failed to re-find their highest gears after leaving Chinese football. Included in this list is former Nigerian international Yakubu who, despite leading the line for Cantonese outfit Guangzhou R&F fairly comprehensively, scoring 24 goals in 43 games, has since suffered difficult spells at Qatari club Al Rayyan and Championship outfit Reading, who released The Yak at the end of one solitary season of struggle. This presents China as something of an Oriental equivalent to the MLS, where players whose careers are beginning to wither away go to ply their trade in comfortable surroundings, where the glory days of old can almost be resurrected against oppositions compiled of players struggling to develop their abilities in nations that don’t fully embrace football as much as European or South Americans seem to do, and all done in return for a small sack full of the chairman’s pretty pennies. This is where Chinese football hits a brick wall in its development. The majority of the money being spent on raising the profile of the Chinese game is squandered on the sport’s yesteryear dinosaurs, looking for a final boost to the retirement fund before hanging up the boots. This leaves the future talents of Chinese football bereft of crucial support for development and means that any home-grown stars find themselves leeching on to the prestige of their experienced colleagues like pilot fish hanging onto sharks in order to present themselves as commodities worthy of investment, with the ultimate goal of being snapped up by a bigger challenge elsewhere constantly in mind. This creates a vicious cycle that inevitably means the standards of Chinese football are perpetually falling way below the markers set for football in China by other nations with more supportive footballing infrastructures, aware of the necessity to pay more attention to the future names of the sport than to those of the past. It is to be considered a shameful waste the way China operates its footballing business when, as an emerging footballing nation in possession of resources that would make the funds available in some European nations seem like a relative pittance, it squanders a vast proportion of its assets on retiring relics of the game instead of tomorrow’s revolutionaries. Further harming the development of football in China is the fact that most of the highest paid players in the country’s league hail from South America, where phenomenal Chinese investment has seen players with inconsequential reputations collecting fortunes for what is generally considered an almost pedestrian accomplishment by those in the world of football. In 2011, an Argentine by the name of Darío Conca became the world’s third highest paid player when he signed for Guangzhou Evergrande, earning £12.5 million a year, with his wages only being trumped by those of Lionel Messi and Cristiano Ronaldo, names even he would not hesitate to admit are of considerably higher regard than his own. 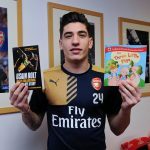 However, despite such monumental figures appearing on his pay checks, the Argentine’s talents only ever carried him into the national team at youth team level and he has since been forced to consider the possibility of switching his nationality in his pursuit of a full international cap. This highlights an egregiously slipshod attitude towards the evolution of football in China, examples of which can be noted in almost every single one of its Super League teams, making it rather easy to be pugnaciously cynical about the way its clubs conduct their business. If China is to improve its notoriety in football the direction of investment needs to change to create more homespun heroes rather than bringing in talents from abroad; even the nation’s Premier Xi Jinping has stepped in to try and create a prosperous environment for future Chinese talents to develop. In 2011 the then new leader of China professed a desire for his nation to do well in football and, as a result of this, the sport is now part of the national school curriculum and some 20,000 football-themed schools are being planned for potentially cursory construction, with completion before a fast approaching 2017 deadline the target. This quick-fix approach to China’s notably dismal football history is perhaps the kick-start the country needs, but it will by no means plug all of the holes from which Chinese football is haemorrhaging money, money which Xi Jinping would like to see going into his nation’s clubs rather than out. It is also unlikely to help the Chinese premier reach his three football-related goals of reaching the World Cup, hosting the tournament and least likely of all, winning it. They are goals that seem to be underpinned by little more than Xi’s personal desires, as well as the small factor of potential astronomical financial rewards. However, regardless of how nebulous the Chinese premiere’s reasons for wanting to get his country more involved in the world’s wealthiest sport may be, he at least sees the obvious wasted potential in and amongst his nation’s masses and realises the current situation in China’s football means he is unlikely to see his country make the in-roads into world football that he would like any time soon, which is why so much focus is being cast upon attempts to reverse the nation’s fortunes. Whilst an initial look at football in China suggest such efforts might be futile, with football still languishing far behind basketball in the nation’s sporting popularity pecking order, there still exists a healthy support for the game in China and their supporters are as wistful and passionate as any one might see across Europe. It is those fans who feel their country is capable of producing a footballing dynasty to make the rest of the world take notice. What is initially prevalent about Chinese fans is the great lengths they will go to in order to express support for their own teams, without seeing the need to be overly malicious to opposition supporters. 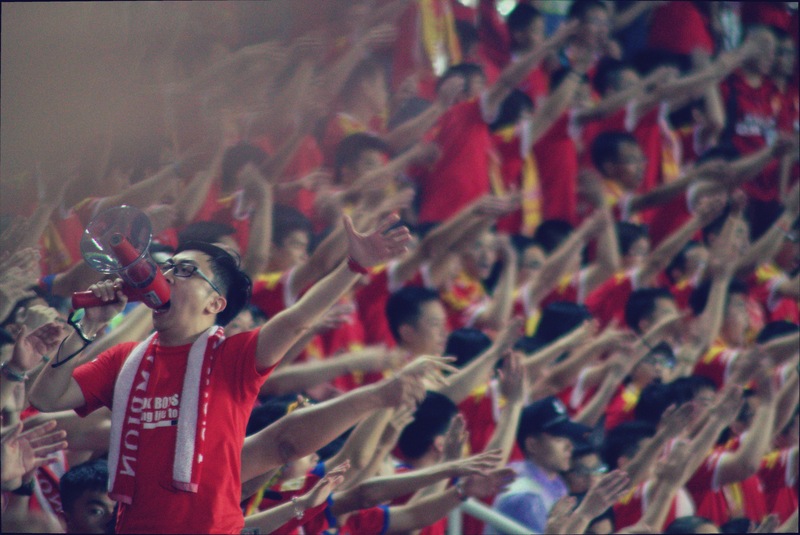 The Guangzhou derby, considered by those in China to be amongst the more fiery encounters in the Chinese Super League, provides a crystal clear example of this almost mutually respectful way of fans conducting themselves in the stands. Unlike more notorious derby matches this is a contest without a great deal of history between the two teams, but the limited history it has is enough to constitute a rivalry worthy of the passion and venom that the word ‘derby’ often presupposes. Guangzhou Evergrande was founded as Guangzhou FC in 1955 and has existed solely in the now Cantonese metropolis ever since, but the tale of its rivals is one completely antithetic to that of its own. Only arriving in Guangzhou in February 2011, R&F is a club now in its eighth different stage of existence, in its fourth different city, despite initially being founded as recently as 1986. When it was brought to Guangzhou in time for the 2011 season, Evergrande were competing in their first season back in the top flight following a relegation forced upon them as punishment for a match-fixing scandal. R&F was brought in from Shenzhen by a Guangzhou property development group of the same name, keen on providing an alternate to their city’s shamed team whilst making the most of the fertile land for growth the city had to offer, with vast swathes of fans no longer wishing to pledge allegiance to a club with such a scar upon its relatively successful history. The city was divided into traditional footballing opposites; the red team versus the blue team, creating a contest where new-born issues fuel the desire to claim the local bragging rights and gripes exist between the two teams for reasons other than inherited tradition. Yet inside Evergrande’s Tianhe stadium, the atmosphere is more celebratory than the often turbulent, bile-spilling rambunctiousness one can perhaps expect from such fixtures in Europe. The odd collective boo and hiss occasionally rings out in pantomime-esque displays of disdain, but most of the noise is being created as a positive means of supporting either side’s respective team and it is produced in staggering volume, with both panache and a sense of duty. The stadium is filled with a red replica-shirt clad ocean that drowns the drab peach colouring of the antiquated stadium seating, brandishing scarfs, flags, banners, megaphones and any other utilities that may further represent themselves as a supporter of Evergrande. Over a third of this rouged arena is taken up by the self-pronounced Evergrande Ultras, who defiantly remain on their feet throughout the contest, ceaseless in their efforts to demonstrate their allegiance through deafening war chants and intimidating displays of choreographed movement. Situated in the corner of the stadium opposite this thrilling display is a blue streak breaking up the moving swarm of red shirts provided by a humble yet incessantly vocal away allocation, duty-bound to try and cheer louder than the roaring behemoth either side of it. The resulting atmosphere is an ebullient carnival ensconced in an everlasting stentorian roar, complete with all the pageantry and showmanship of a Broadway musical. This crowd deserves something to celebrate, yet dished up before them were performances less interesting than the grandiose parades they provided themselves. Evergrande’s then World Cup-winning manager, Fabio Cannavaro, who has since been replaced by another World Cup winner, Luiz Felipe Scolari, tried to instil spirit in his ranks, but one got the impression the tactics he wished to use were beyond the capabilities of those attempting to execute them. This too is true of the Chinese public, many of whom turn a blind eye to their own nation’s football, whether or not they’re interested in the sport itself. Those in Tianhe stadium that evening, singing their hearts out into a thick humid downpour, know that the football played out before their walls of noise is not likely to capture the attention of fans from further afield, but it means enough to them to fill their stadium and spend 90 minutes ferociously roaring in a bid to inspire the electrifying performances they hope their homespun heroes will one day be capable of producing. 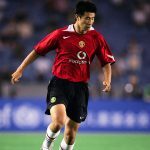 Whether or not China can haul itself out of footballing obscurity and into the mainstream will depend on how willing they are to break the habit of relying upon once great players, and instead create an environment in their own country whereby the standard of football can properly undergo the evolution it so desperately needs. The main issue China faces is that this is not a problem that will be solved through conventional methods. China’s default method of issue resolution is to throw enough money at something until it improves and it seems as if the money throwing has already begun, as it’s unlikely that 20,000 football schools are going to come cheaply. Nevertheless, without the requisite planning, preparation and more importantly staff, the project will likely become little more than additional wasted potential. However with Chinese football stuck in such a gloomy place, the fans of the game are helping to drag its reputation into an altogether brighter future. The Guangzhou derby holds a shining light over Chinese football and highlights what needs to be addressed and changed in the coming years, whilst demonstrating what remains to be admired. Overpaid and expired names pulled from the footballing past need to be cast aside so more focus can be given to the needs of those not given the support that could help them flourish, whilst the enthusiasm and diligent attitude of the nation’s fans needs to be captured and instilled into the nation’s footballing future. China has everything necessary to create its own footballing revolution; it just needs to learn how to spark it off. Xi Jinping has gone some of the way to doing this and some way down the line its success will be assessable. For now, though, the issues in need of eradication are glaringly obvious and China needs to put in place measures to bring about stability before the legions of fans currently bridging the gap between credibility and morbidity give way, leaving it stranded without integrity to atrophy further into insignificance.